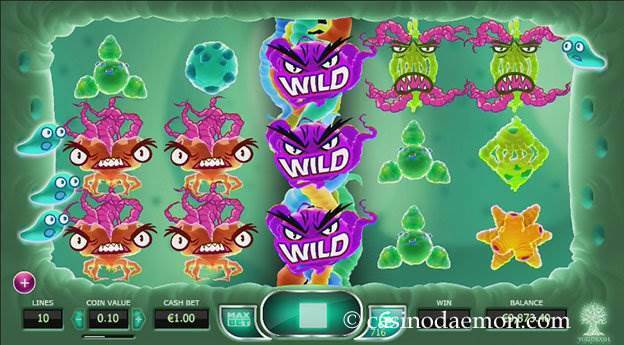 Cyrus the Virus from Yggdrasil is a funny slot machine that features many different viruses. 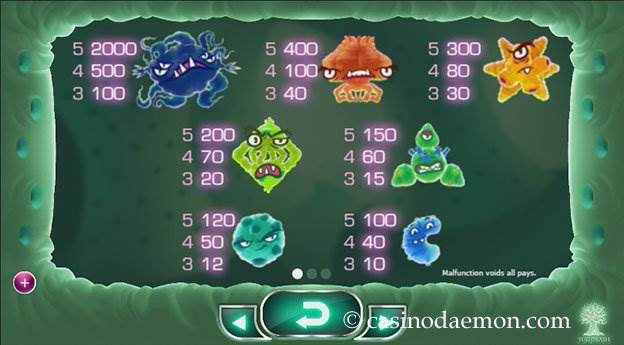 It is the perfect game to enjoy when you are ill already, as the viruses in this game will certainly not make you any more ill. 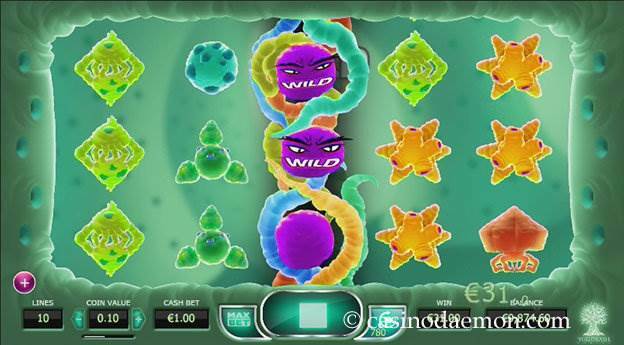 The game features an expanding wild symbol that multiplies on the reels just like a virus would, and you can win up to 20,000 coins in one spin. The music is lively and supports the theme of the game very good. 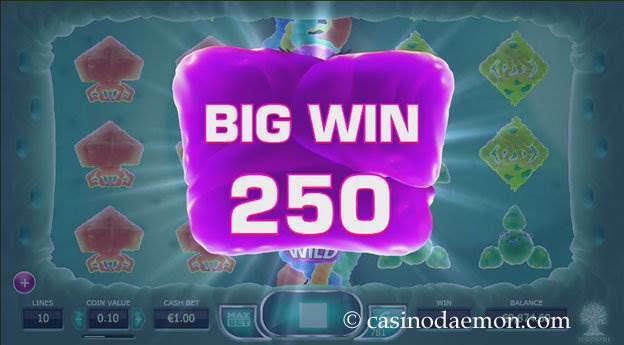 The variance of the game is medium and you should get regular winning combinations, but often with lower amounts. The best feature is the wild symbol with a free re-spin, and you can win most money with this feature. The theoretical return to player is 96.3%, which is average for an online slot, and you can also play Cyrus the Virus mobile are many different devices, as the game is optimised for mobile play. The demo version of the game is available here and you can play Cyrus the Virus for free without any obligation. If you like the game you can also find it in the online casinos mentioned on this page. The game doesn't have many special features, but it is still very entertaining. The wild symbol can appear on the centre reel and it can stand in for any of the other symbols. It will also expand onto the whole reel, which is shown with a nice animation. The winnings are then calculated and paid out, and you get another free re-spin, which can mean additional winnings. The Cyrus the Virus slot has 5 reels with 10 fixed pay-lines, 5 from the right and 5 from the left. You can select coin values of between £/$/€ 0.01 up to £/$/€ 4, which means that the minimum stake in a round is £/$/€ 0.10 and the maximum is £/$/€ 40. You can also select automatic play options.